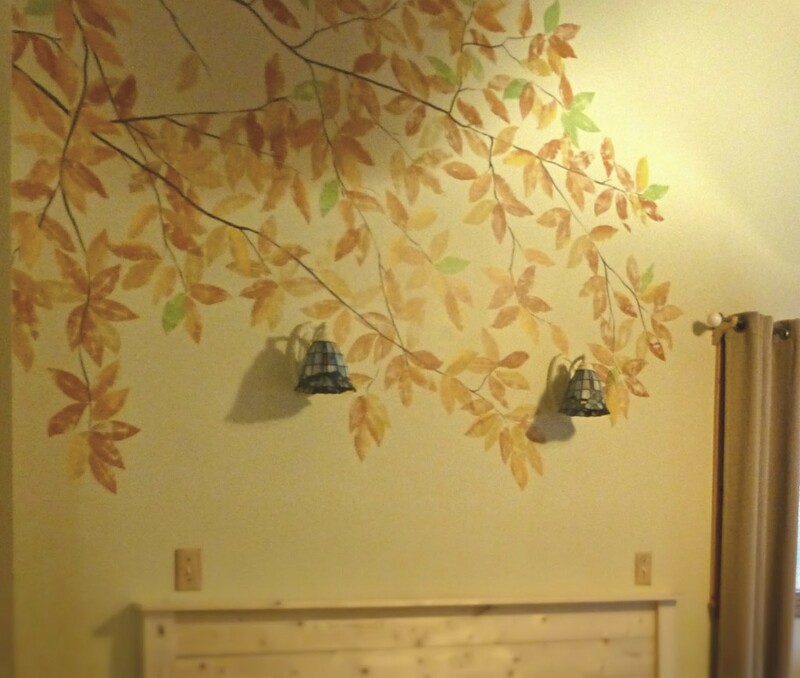 Earlier this year, we revamped the Mountain Laurel guest room at the Inn on Mill Creek B&B, replacing the queen bed with a king bed, putting in all new furniture, and adding a hand-painted mural on the wall. So let’s see what we did! 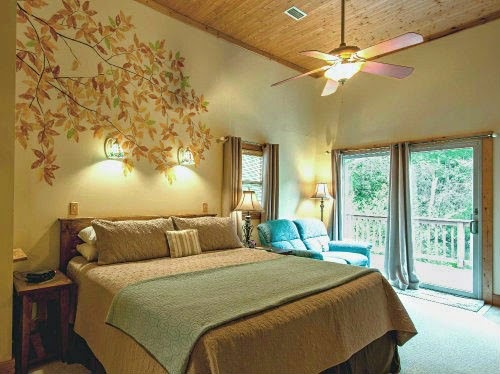 Here is a before photo of the Mountain Laurel Room. It was a nice room to start with, but there’s always room for improvement… in this case, upgrading the room from a queen to a king and updating the furniture. We also wanted to bring some of nature indoors. 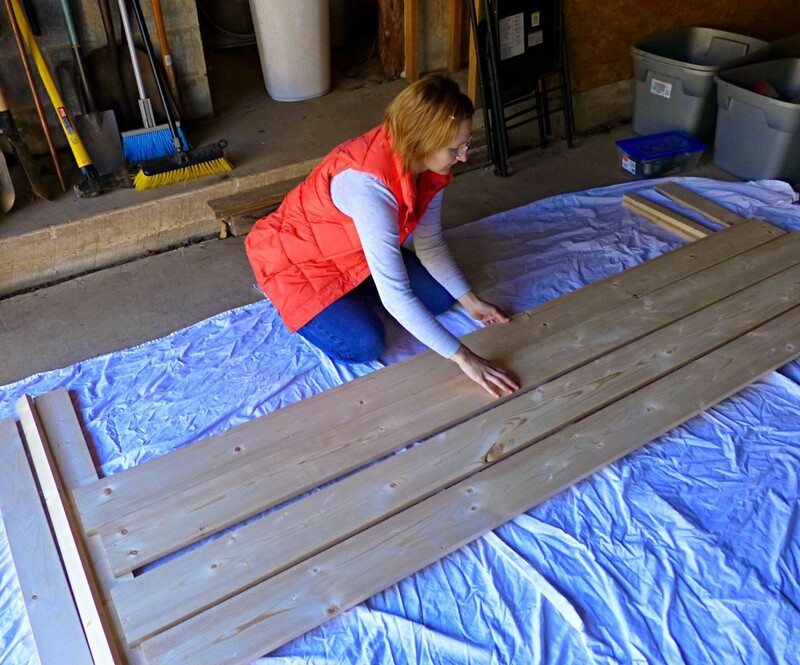 We decided that it would be cool for us to build a custom headboard for the new bed. “We” meaning Brigette and “us” meaning Dave. 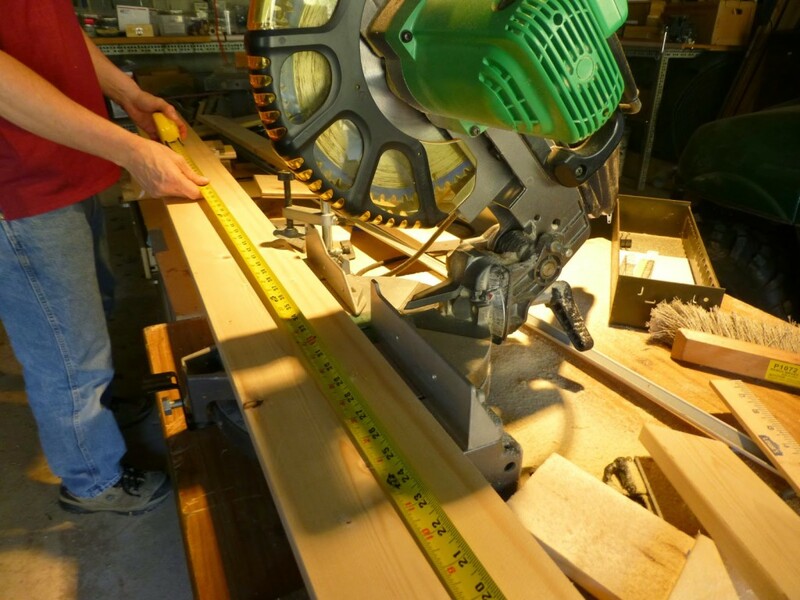 So we checked around the internet and found one similar to what we had envisioned, drew up some plans from that, and then off we went to purchase lumber from our local building materials supplier, Hensons in Black Mountain, NC. 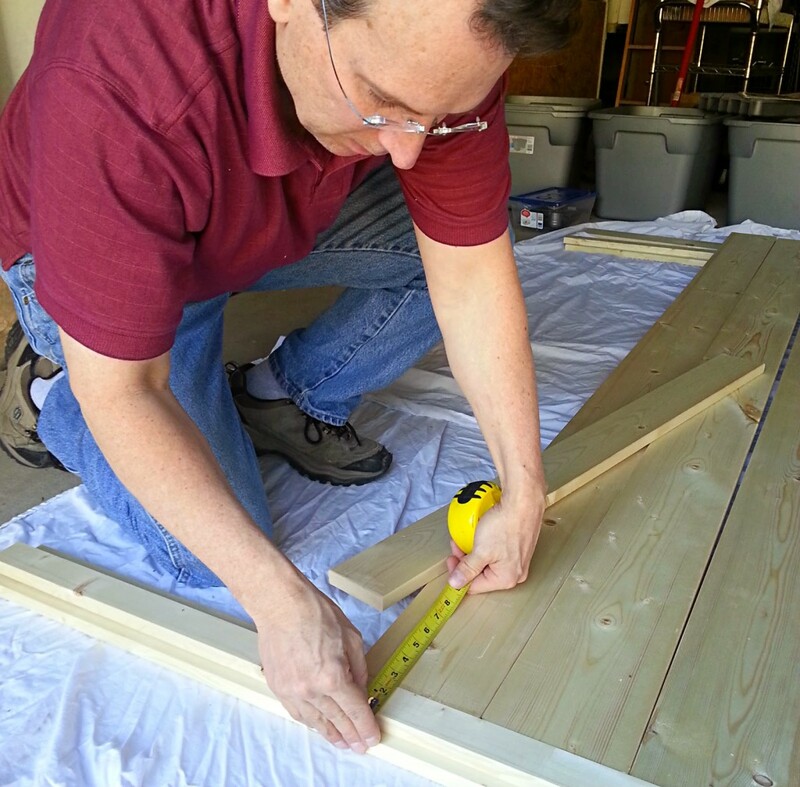 We used Dave’s man cave a/k/a the Inn’s garage as our base of operations for building the headboard. 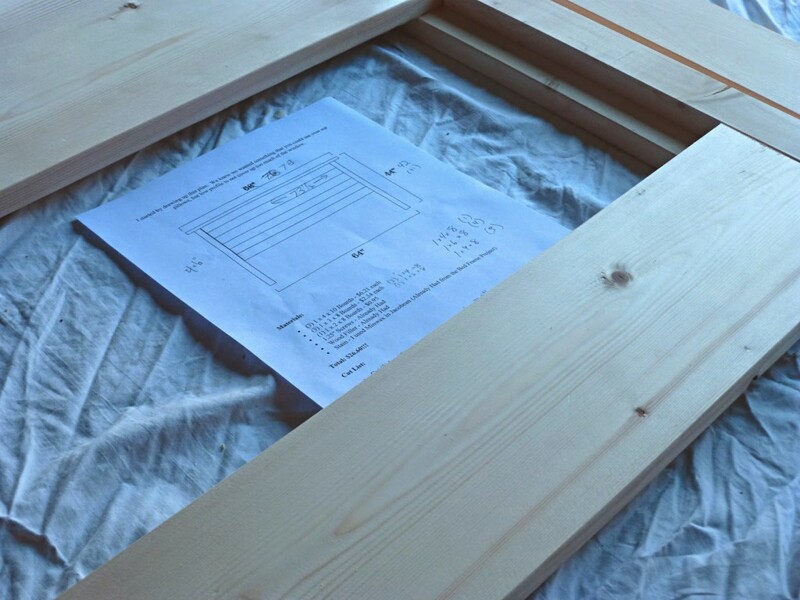 In no time at all, we (OK, Dave) had cut the boards, and then we arranged them and nailed and screwed them together. Of course, we’re throwing a photo in here of Brigette since she did help with putting the boards in place. This was in March, hence Dave in a t-shirt and Brigette in fleece! 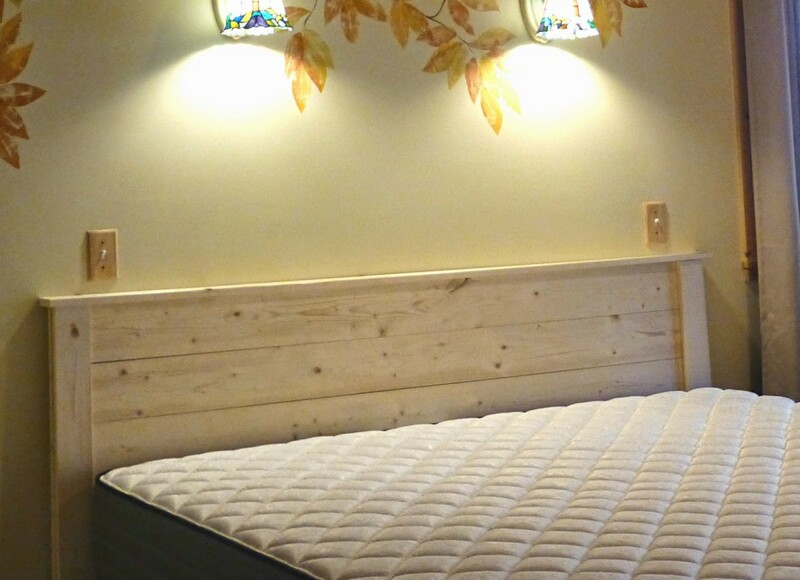 Good news, tall guests: no footboard on this bed! 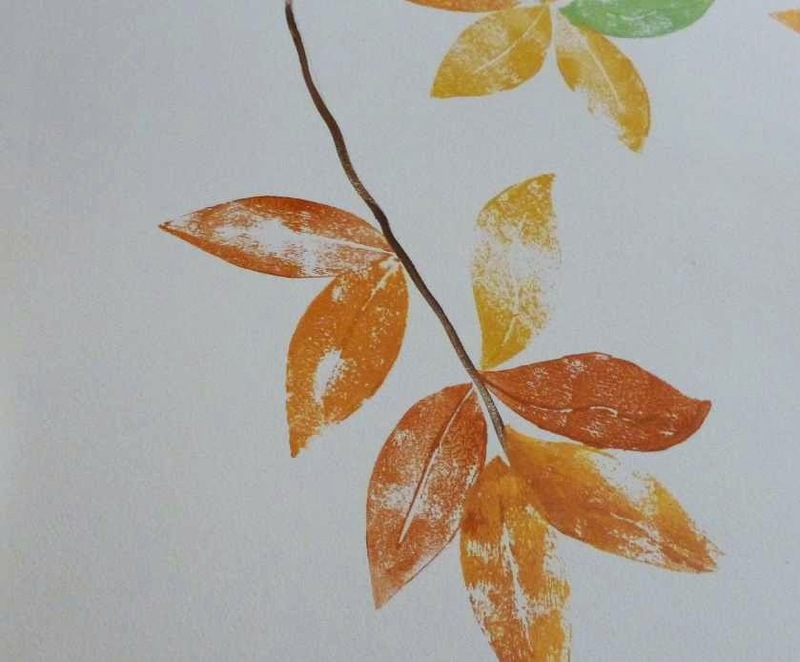 Around the same time that we built the headboard, our talented artsy friends, Yosafa and Maggie from Atlanta, helped us to bring a little bit of nature indoors by hand painting a tree branch and leaf mural on the wall above the bed. It turned out awesome as we knew it would! 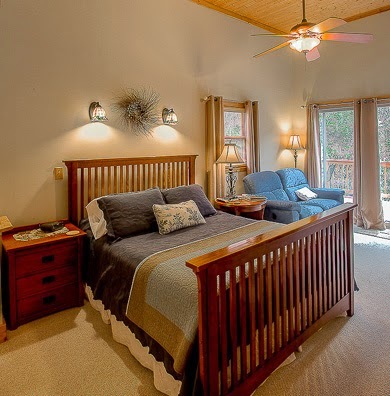 The Mountain Laurel Room has quickly become one of our most popular guest rooms. To see availability for your next stay at the Inn on Mill Creek B&B, click here.